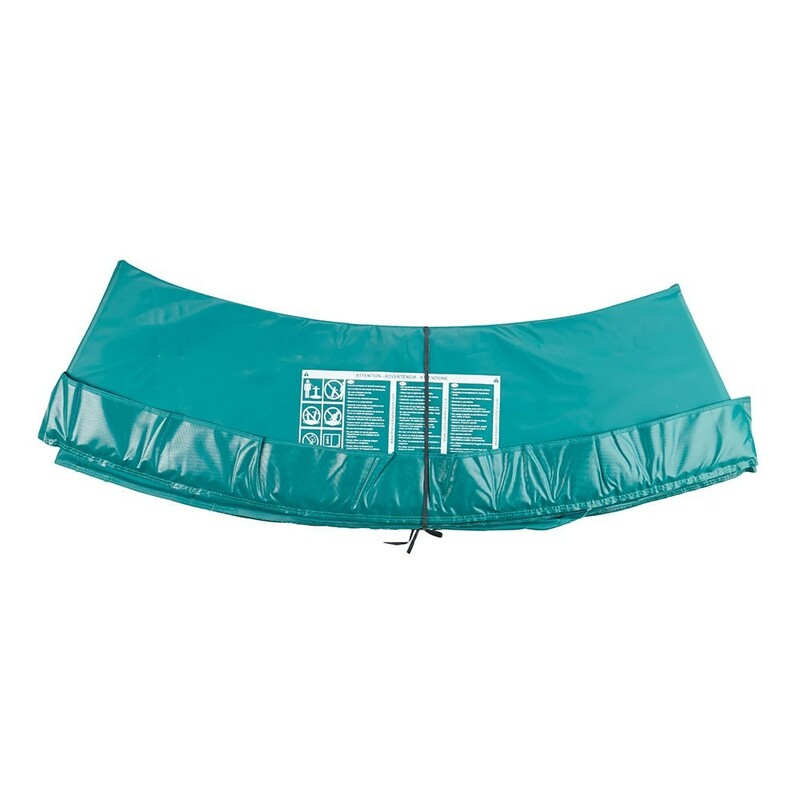 13ft Green frame pad for 3.90 m trampoline. The frame pad protects users from the steel framework as well as the springs, preventing any injury. 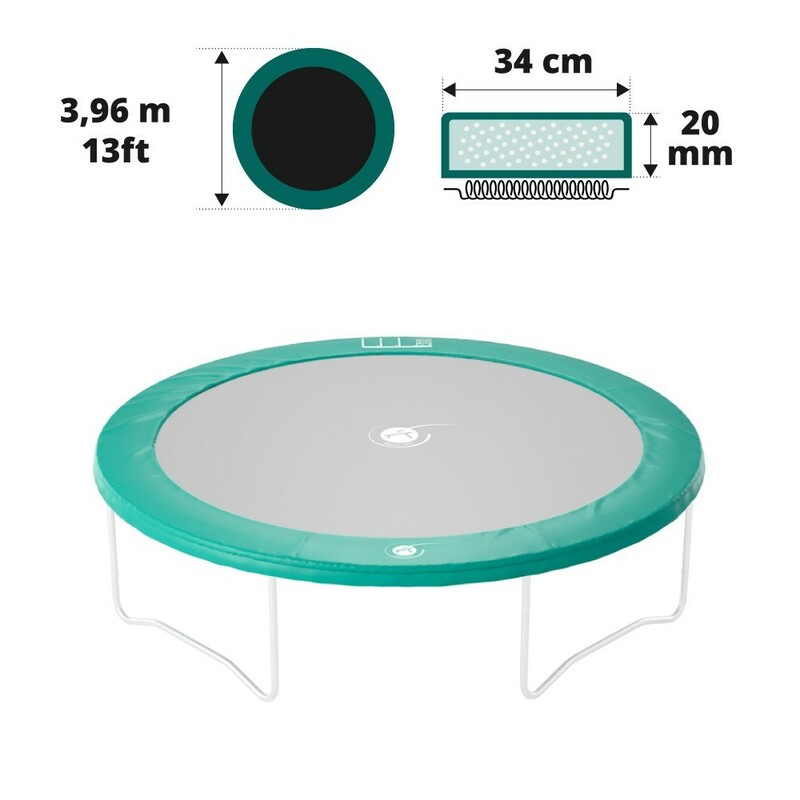 It is therefore essential to make sure that your frame pad is in perfect condition, to guarantee the safety of any people using your trampoline. 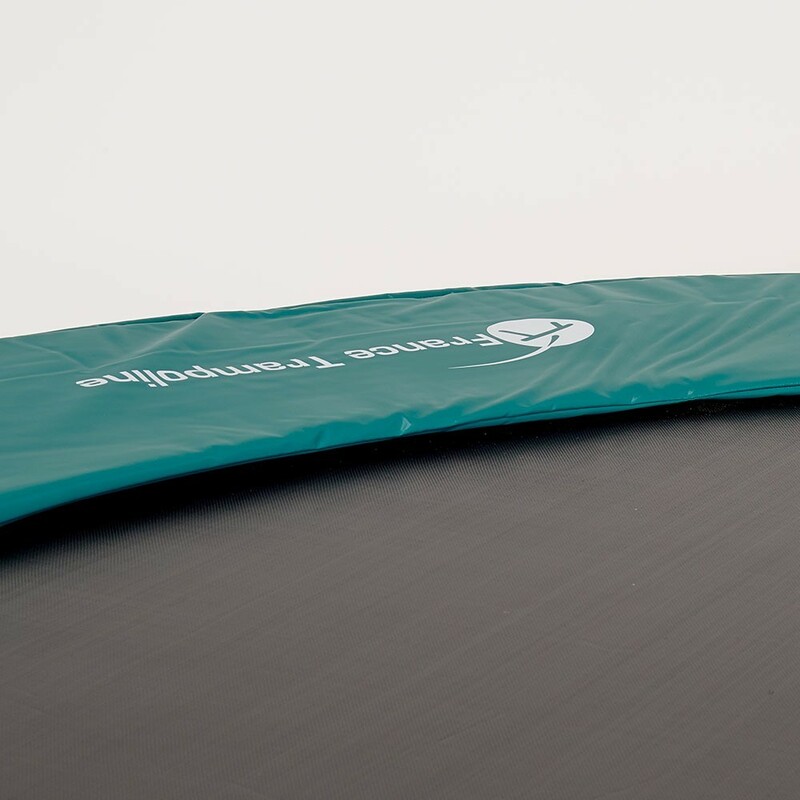 This frame pad has been designed for trampolines of 3.96 m in diameter. 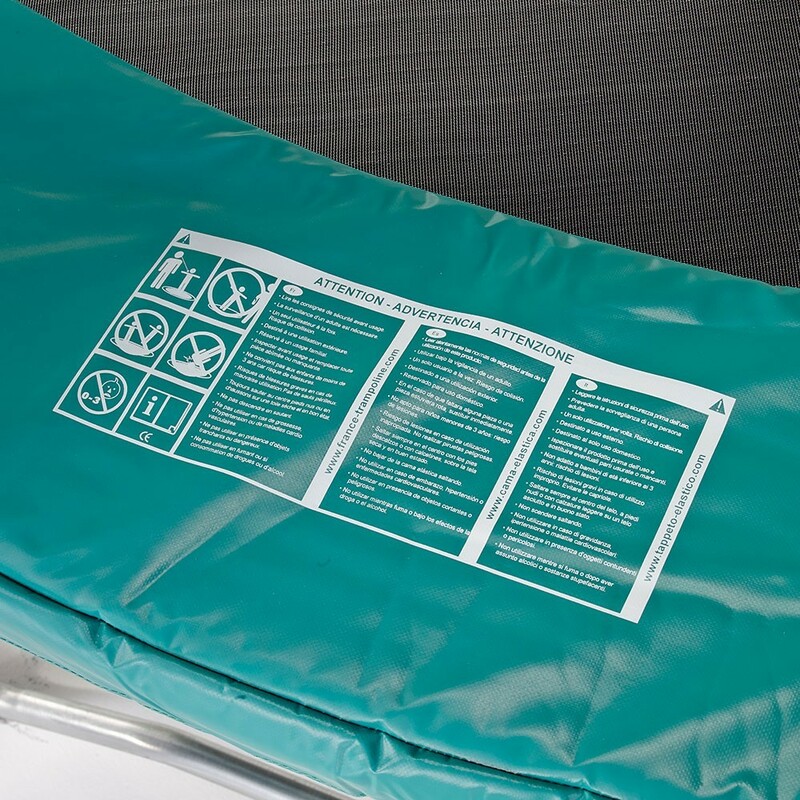 - France Trampoline’s frame pads have been designed to fit all different brands of trampolines. Our frame pad for 3.96 m in diameter trampolines will not only fit our Jump’Up 390 and Access 390 trampoline, but also any other trampoline with springs that are no longer than 180 mm in length. - Our experience allows us to offer you resistant and durable components. We use a monobloc EPE foam or expanded polyethylene which is 25 mm thick and has several advantages. It can withstand repeated shocks. It is also perfectly waterproof, making it weather resistant. Finally, EPE is flexible. - This foam is a monobloc, it is made from a single layer of foam. This makes it far more solid and shock resistant. - The cover is made from a technical fabric covered in PVC, with an ultra resistant density of 650 g/m² and a thickness of 0.55 mm. It has also been UV protected and covers both sides of the cover, contrary to other covers on the market. - Your frame pad will be held in place with a fixation system using steel eyelets and elastic straps. This system makes fitting your frame pad to the framework simple and efficient. 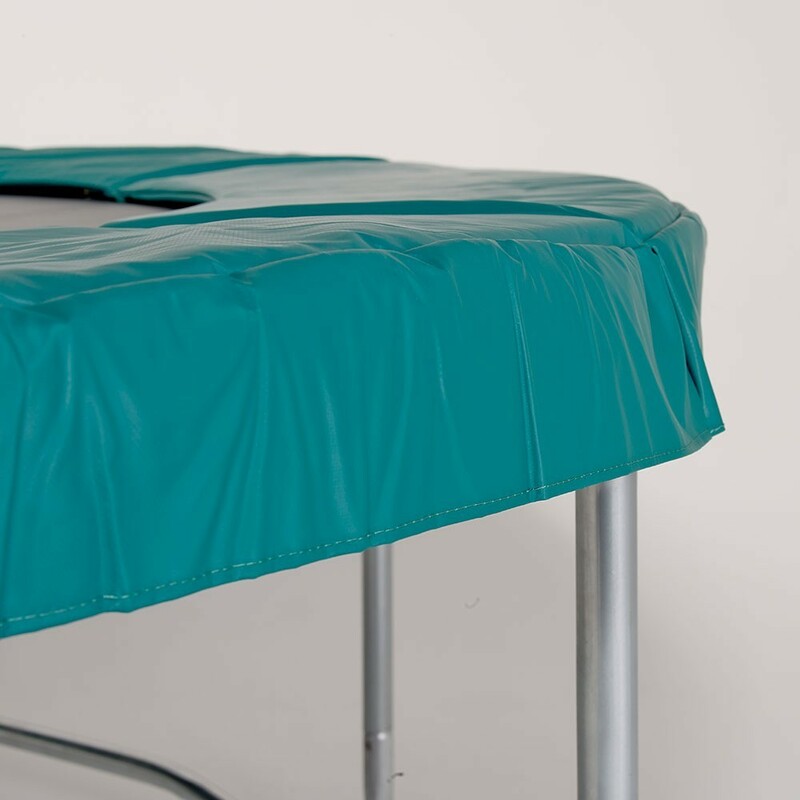 The 16 elastic straps delivered with the frame pad, are fixed all the way around the steel framework of your trampoline.